The LTI integration with Moodle enables students to sign into OpenLearning using their existing Moodle credentials. You'll need to set things up in both Moodle and OpenLearning to enable the integration. You can set up the integration either within each individual OpenLearning course, or at the institution level. Setting up LTI in the institution: You will only need to do this once. Enter your OpenLearning password and click Request Credentials. 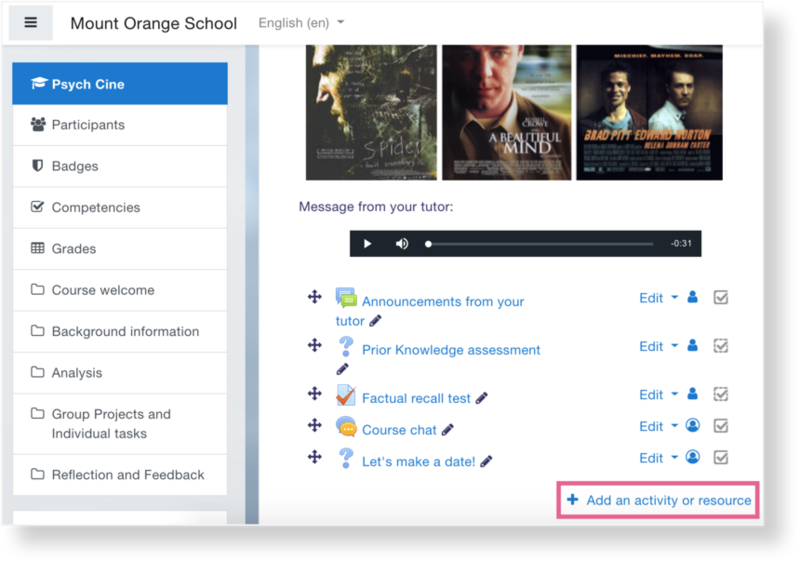 Go to your Moodle course, go to Edit mode and click Add an activity or resource. Select External Tool, then click Add. 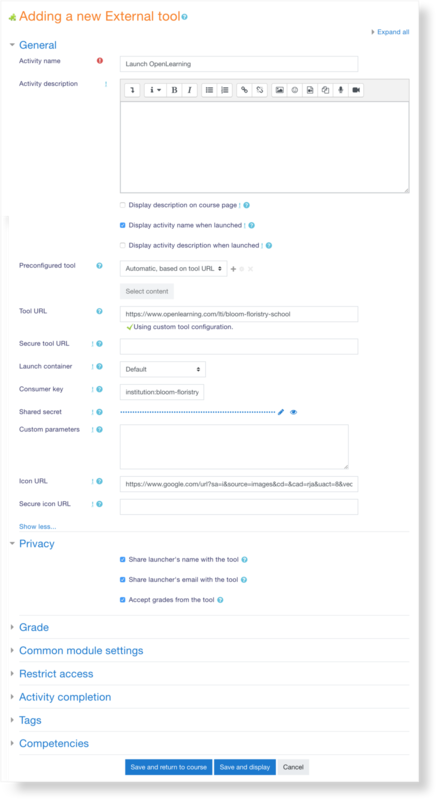 Fill in all of the required details, including the Launch URL, Key and Secret generated in OpenLearning. 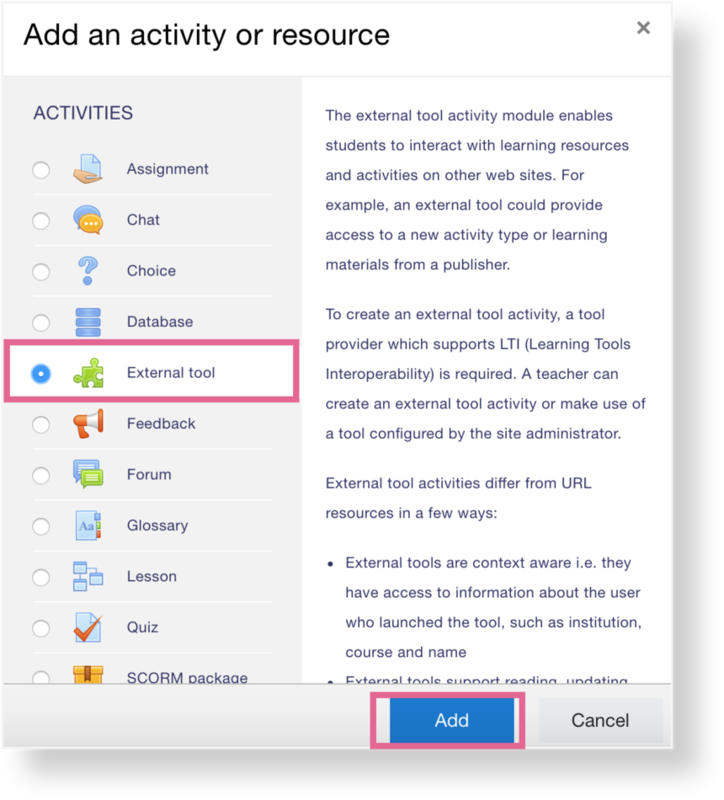 Turn off Edit mode, then click the activity link you just created to launch OpenLearning. 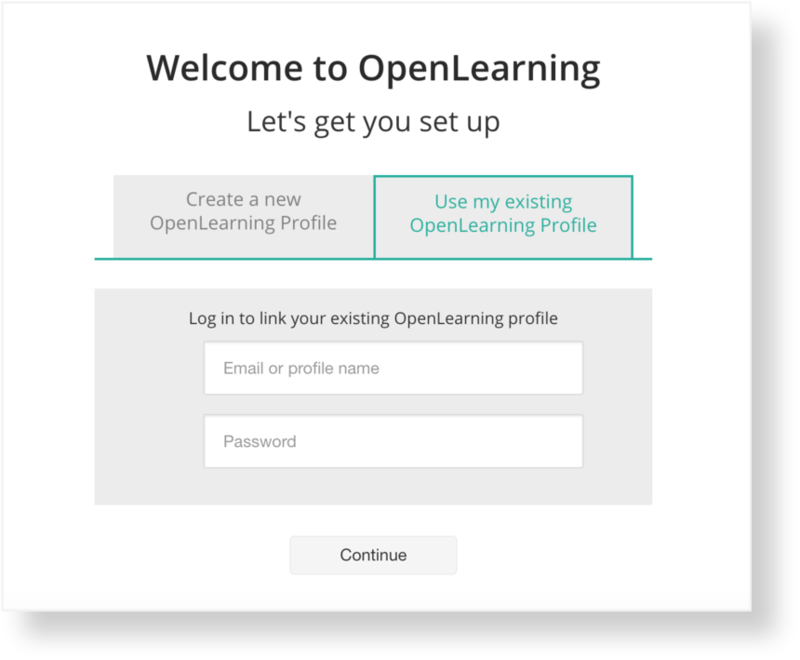 Either create an account or log into your existing OpenLearning account (FYI: Students will also see this same prompt when going to OpenLearning from Moodle the first time). 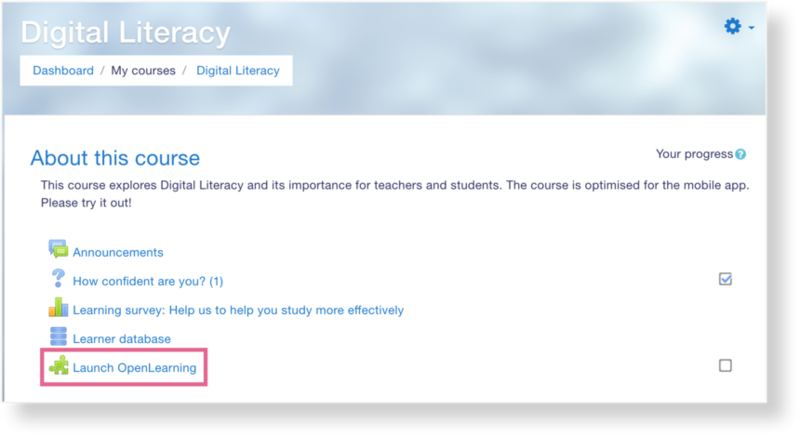 You will be automatically enrolled in the OpenLearning course and will be able to access (if it is live). Link this Moodle instance to a course and/or class in OpenLearning. (This will only happen once, the first time OpenLearning is launched from Moodle).